Which Country Will Be First to Cure Paralysis? 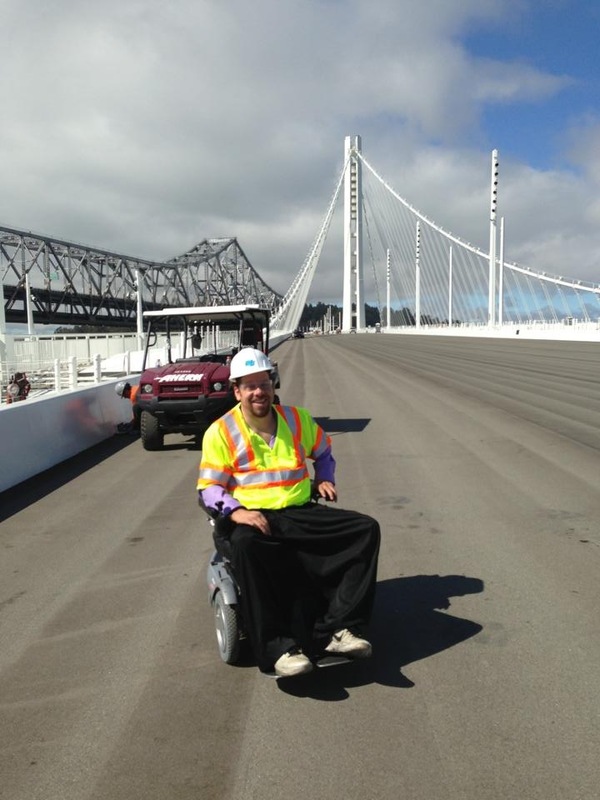 On August 25, Roman Reed became the first person in a wheelchair to cross the new span of the San Francisco Bay Bridge. This Friday, he may help build another bridge, across the gap between paralysis and cure; Friday is an important decision (the California Senate Appropriations Committee) on funding the Roman Reed Spinal Cord Injury Research Act. Either we move closer to funding -- or are shot down for another year. As Roman put it, the ocean bridge was "an architectural marvel and a thing of beauty," and it was a joy to be the first wheelchair driver to cross it. But it got me thinking: He was the first to cross the bridge -- who will be the first to walk again? We should have a cure competition like we did with the Space Race, from which sprang the computer -- we could change the world for the better! What country will be the first to defeat paralysis? The USA, China, Germany, France, Singapore, the UK -- or a country no one suspects? It may well be China, which sadly has an enormous number of paralysis accidents. They also have some outstanding scientists there, which is why I spend half an hour on Mandarin every day, struggling to learn from CDs and books. "Wo shuode bu hao" -- I speak very badly -- but I want to at least show courtesy by trying. If Beijing becomes the capital of cure, Roman and I will be spending some quality time there. My hope, of course, is that it will be my country, America, my state, California, and my son, Roman Reed. But having been in this struggle for 19 years, since Roman was paralyzed in a college football accident, I know the future is seldom how we expect it. Witness the struggle to pass and protect a tiny research bill. Originally (in 1999) the program was going to be huge: funded by a $15 add-on to traffic tickets (car crash being a leading cause of paralysis), which would have brought in roughly $75 million a year -- a staggering sum! But cooler heads prevailed, unfortunately, and Senate President Pro Tem John Burton (retired) suggested a compromise $19 million a year from the General Fund -- still wonderful. That was well on its way to passing when the Energy Crisis struck, and our bill was killed. Next year we came back asking for just $1 million a year, which passed. Then we wrestled it back up to $2 million, which was cut down to $1.5 million, and there it stayed for 10 years. In 2010, it was unanimously renewed -- but with no money. Being denied access to the General Fund, we asked for a traffic ticket add-on, first $3 a ticket, than a just $1 each -- the smallest increase allowed by law. 2011: The $3 ticket increase was shot down in the Assembly Appropriations Committee. 2012: The $1 increase passed both Assembly and Senate before being killed by Governor Brown's veto. In his message he stated such programs should be paid for by the General Fund. This year AB 714 (Wieckowski, D-Fremont) asks just $1 million from the General Fund, as recommended by the governor. With strong bipartisan support, it has sailed through the Assembly (68-3) and the Senate Health Committee (9-0). The California Department of Finance has come out in opposition, because (since the program is run by the University of California system) they think the UC should pay for it. What they don't know is that the only way we got the program started at all was by guaranteeing that the world-renowned UC system would be in charge. Sam Aanestadt (R-Grass Valley, retired) made that stipulation, and it was the best thing he could have done for us. The UC System is top quality all the way. If you visit the beautiful and functional Roman Reed Lab at UC Irvine, you will meet Dr. Os Steward, who has probably forgotten more about spinal cord injury and its potential cure than most scientists ever learn. He runs the program, from within the Reeve-Irvine Research Center--a center begun by a woman who loved horses. When Christopher "Superman" Reeve was pitched off his horse (it balked at a hurdle), the actor landed squarely on his head, breaking his neck, paralyzing him. In the fury of grief, his brothers wanted to shoot the horse -- but Christopher would not let them. It wasn't the animal's fault, he said. Remember Joan Irvine-Smith, the woman who loves horses? When she heard about Reeve's kindness, she matched it with $1 million, and that was how the Reeve-Irvine Research Center got started. Inside the college of UC Irvine is the Reeve-Irvine Research Center; inside that is the Roman Reed Core Laboratory. Here new scientists learn how to fight paralysis, and long-term champions share expertise, and everyone can work together. Once a year, a "Meet the Scientists" event is held at the center, and people in wheelchairs can chat with researchers. The scientists learn to put science into people talk, as we in the patient community struggle to learn what the heck they are talking about. This Friday, AB 714 is up before the most difficult committee, Senate Appropriations. It will be a straight announcement-- no speechifying allowed-- we just wait and listen. Maybe we will succeed and move on to the next hearing, and the Governor. Or maybe the worst will happen, and Appropriations will shoot us down. In either case, next year's agenda is the same. If we fail, we come back in 2014 and start over again. And if we win, we still come back next year, because this is just a one-year bill, all we could get for right now. Our path is simple. Keep crossing the bridges -- and if there isn't one, build one.